Imagine the thrill and pride that the musicians within the legendary, reformed southern metal band EXHORDER must feel (reported HERE, Nov. 2017). Now, try to imagine the excitement that two of those musicians – guitarist Marzi Montazeri (The Uprising, ex-Superjoint Ritual) and vocalist Kyle Thomas (Floodgate, Trouble) – must be experiencing about another musical entity involving them. 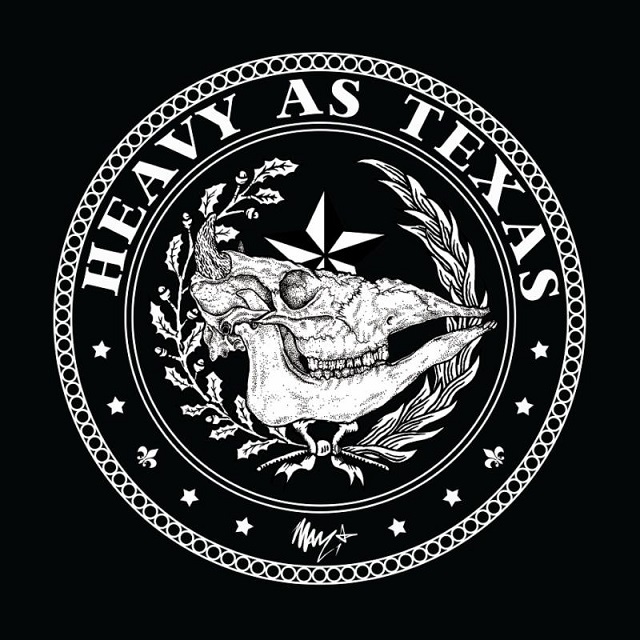 The pair recently announced their new aggressive groove metal project, HEAVY AS TEXAS, and its forthcoming freshman effort. The eponymous titled full length is set to arrive April 19th from the Montazeri-owned Crunchy Western Records and today, we are excited to share further details of the release. For the recent recording, Chris Collier (Prong, Korn) handled bass, as well as mixing and mastering of the album. In addition, Maryland progressive drummer Anup Sastry, whose resumé includes Jeff Loomis (studio/touring drummer) and Marty Friedman (studio), provided all drumming on the Montazeri-produced album. Discover this for yourselves as we present the second single, “Blind“, to surface from ‘Heavy As Texas‘, by means of a lyric video. Accompanying today’s song share is the new album details, along with a previously released official video for the song “To Keep A Promise“. The self-titled introduction to HEAVY AS TEXAS arrives April 19th from Crunchy Western Records. Pre-orders are available on iTunes and the band’s website HERE. After the album drops, HEAVY AS TEXAS plan to begin writing their next effort and to hit the road in support of both. For live shows and touring, the band has enlisted fellow Texan, bassist Lenwood Sonnier, and drummer James Goetz from Ohio.